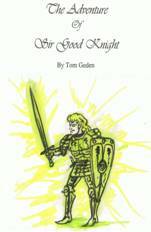 Mountainside, NJ – On March 16, 2015, author Tom Geden performed his book The Adventure of Sir Good Knight for the children, guests and staff at Children’s Specialized Hospital in NJ. After the performance he formally announced he was donating 10% of all earnings from his book to the recreation department at the facility. According to Kimberly A. Armenti, the facility’s Director of Development, this donation is the first of its kind in the history of Children’s Specialized. After his reading Tom interacted with the kids, using the foam swords he brought as story props. He posed with them if they desired photos. Also, he presented a gift copy of his book for children to read at the facility, and donated one to the main library at the front of the hospital. Tom greeted amused people at the door in his knight costume. Finally, as a departing gift, he presented the kids in the waiting room with swords made out of Twizzlers candies. 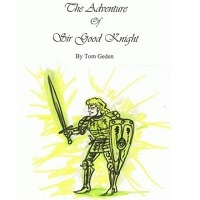 The Adventure of Sir Good Knight story book is currently available via online order form, in single copies and in bulk for resellers. Also, Tom is available to perform as a knight at birthday parties.